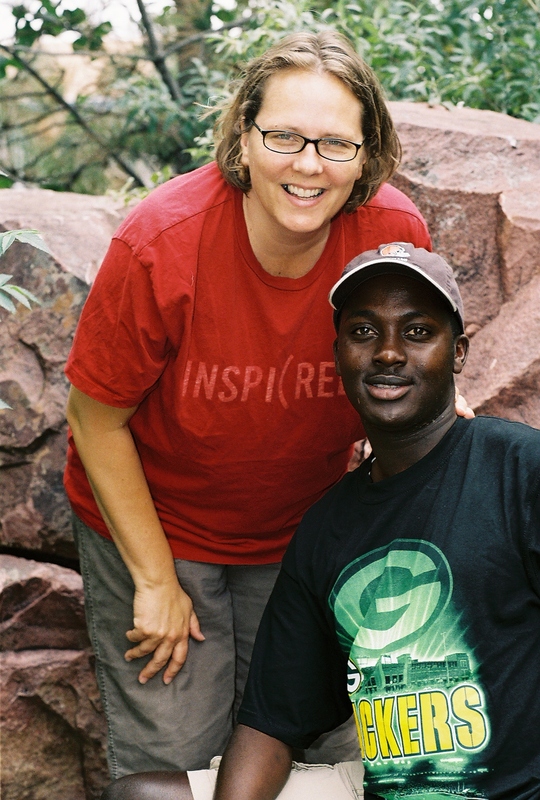 In March of 2010, the year before we moved to Rwanda, Douglas had a dream that he believed was from the Lord. In this dream he walked into a room with two small rooms attached. In one of the small room was a toilet. The door of the room was too small and he could see the feet and trousers of a man sitting inside. The man was Doctor Don Meyers, his professor from North Central University in MN where both Douglas and I attended and met. Douglas has always deeply respected Dr. Meyers and appreciated his input in his college experience. As Dr. Meyers walked out of the small room he gave Douglas a disdaining look. He wasn’t happy to see him. His attitude was critical and he complained that Douglas was antagonizing to him and his affiliation and he said as much. This confused Douglas because they had always had a good relationship. As Douglas entered the small room and Dr. Meyers left he could see that the toilet was stopped up and that the waist was filling the toilet bowl to the very top. There was an inordinate amount of used paper inside as well. As Douglas went to flush the toilet a ring of fire rose up from the bowl. There was more to the dream but I’ll blog about that later. The day after Douglas had that dream he called Dan Kundee who is an assistant Pastor at CCV and an interpreter of dreams from the Lord. Dan and Douglas discussed it and both felt that the Lord was speaking to the defilement in the Church, the “stuff” that grows in the Body of Christ that comes from the flesh of men and also the culture of America today. Our churches have absorbed so much of the world that most barely resembles the churches outlined in the New Testament, one alive and vibrant and relevant under the headship of Christ. I have had a number of visions about this very topic. The Church is Bearing Mongrels and also Ichabod. 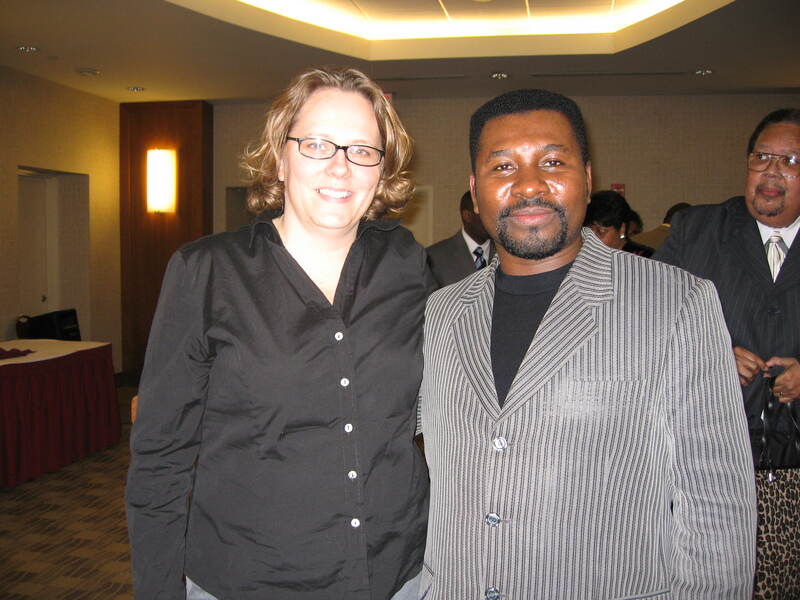 After returning from Rwanda my family and I have experienced great hardship as our Wisconsin church here at home is going through some serious difficulties trying to grow through understanding biblical leadership, spiritual authority and the headship of Christ, as many, and I would venture to say all, churches in our area are going through at present. It has been during this time that I am in a position where I am not welcome at our home church, and because of what the Lord has asked of me I am not allowed to work through things the leadership of CCV is demanding we do until a resolution can be had. During this extended period of time as we wait to see how the Lord will restore the situation I had a vision. In this vision I walked into a small room with a stopped up toilet. The water was at the top of the bowl and a pile of dirty papers were stacked up on the right side of the bowl. I was shocked to see something like this and as I was analyzing it I heard a voice from behind me say, “Tell Douglas it is time to flush.” And the vision ended. I didn’t know what this would mean to Douglas but I had a vague recollection of his dream and wondered if it had something to do with maybe confronting someone in the church or maybe doing some sort of work that the Lord had for Doug. So I called him and told him. Immediately he said, “I have to begin preaching.” This concerned me deeply. We have a large number of people disenfranchised and wounded from the local churches who have been meeting every Wednesday evening at our house for prayer. Some are new believers that we have lead to the Lord and some are from local cities who have left the larger Seeker Sensitive churches seeking a move of the Spirit and a place where the Holy Spirit is allowed to move. Some are from our home church hurt by the division there. We have been ministering to them and enjoying some deep time in the Lord where the Spirit is free to manifest in us and bring the gifts mentioned in Corinthians in ways that have been edifying and encouraging us in these difficult days. But something was obviously missing in this group. It is the preaching the Word of God and teaching the doctrines of the Apostles as we are told to do all throughout the New Testament. The need has been palpable mostly because we have so many brand new believers. Because of the church difficulties and waiting on what the Lord will do I was very apprehensive to be seeming to start another church. But more than that we have been hearing from the Lord that He wants something new and different for us. Something new and yet old as He has told us in visions and dreams and in His word. He wants us to simply do the ministry at hand. All of us. Using the gifts that the Lord has given us, building each other up, encouraging each other disciplining each other, moving to become more like Jesus. He has been asking us to leave the structure of that up to Him and to refuse to recreate what our culture has been calling Church and simply obey well, do the ministry at hand, and allow Him to be the head of how He wants this to grow and develop and be structured. Even though the Lord has been speaking to many of us confirming His words and this direction I have been apprehensive. And if I get really honest ~selfish. I have been hurt by the Body of Christ and by the gift the Lord has given me and how the Church reacts to it. I have been overwhelmed in sickness and struggle, in poverty and hardship, in drama and simply mean people. And the very last thing I wanted to do was help Douglas start a church and set myself and my family up for more. Douglas kept telling me that we are not starting a church but that he is simply obeying like we all need to and use our gifts for the body to allow the Spirit to do HIS work. Douglas has the gift and anointing to preach the Word of God, he is very wise and understands the human condition better than anyone I know and God is asking Him to simply begin. So he told folks at our prayer meeting on this past Wednesday that he simply was going to obey God and flush. Preach. Allow Christ to use his gift to encourage the people who had a need who have come into our lives. Me? I was still freaking out even last night as I cleaned and printed coloring pages for the kids and set up chairs in my living room. But something very amazing happened this morning. I woke up and felt excited. No clue why because I had been dreading this in tears for an entire week. Douglas was sitting in the desk chair next to our bed in a tie and dress pant when I woke up. I looked at him thinking Lord have mercy do I have to dress up on top of everything else? “Have you seen this?” he asked. “My Mama sent this to me.” He pushed play on the internet site he had on our desk top computer in front of us. The Fox News clip began to play. “It is the moment that star gazers here in the United States have waited for, for nearly 20 years. The sun and the moon aligning this weekend for a rare eclipse that will look like a ring of fire.” I looked at Doug. He looked at me. We sat there for a few moments looking at each other. “A ring of FIRE!” I yelled. On the day that we feel that God is asking Douglas to flush; flush and preach the message that the Church needs to hear to begin to move away from a culture saturated structure that is killing off the life of God in the Church. According to the dream when Doug flushes a ring of fire rises up. Neither Dan nor Douglas had any idea what that ring of fire meant. 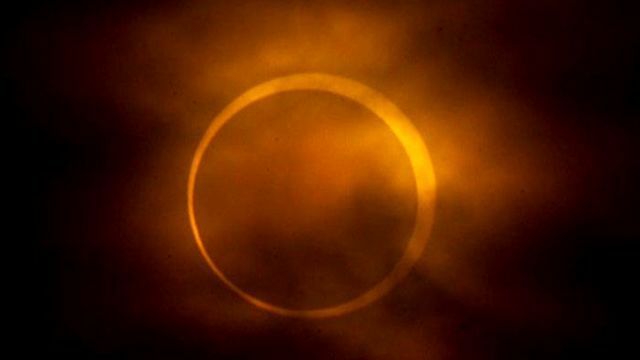 But on this day a rare eclipse that looks like a ring of fire appears? I have learned long ago that when God speaks something important signs and wonders are involved. I believe this is a sign and a wonder that confirms Doug’s dream and his call to preach, and the exact timing as well. It was such a moment of release. It was a relief. Everything changed inside of me. It was like I immediately trusted and let go of the fears of what people would say and think and do and simply knew it was a sign from the Lord, an affirmation that we were doing what He set us out to do. As Douglas preached this morning the house was filled and we had a great time of worship. Someone spoke in tongues and it was interpreted, people prayed in the time of worship, someone gave a short impactful testimony, the preaching was awesome calling us to love in the love of God. The fellowship was deep, trusting and close. God did something here today and I could feel it. We were encouraged and filled and sent out again to advance the Kingdom of Light. Something very new and something very old happened here. We did “church” like they did in the book of Acts. So tonight a ring of fire will hang in the sky. Many will be watching. Many will be amazed at the work of God in His creation. And some will be hopeful. Hopeful that the life of God will soon spread through His church again calling the lost to His way and the scattered sheep back to his protection, calling the Prodigals home and the broken and downtrodden to new life! And Douglas will continue to preach and we will gather around him and use our gifts to encourage the Body and to lead the lost to Jesus Christ moving to maturity under the headship of Christ. Joie – I just want you to know that even though I’ve never met you, I appreciate and love you so much – the work you do – and the loving, giving and generous spirit in which you do it. It’s the hidden things – the time with people that you take and no one else knows about it – but God does. One thing I know for sure is that Father God is your provider, your helper, your rear-guard. He takes care of those things “coming down the pike” so to speak, that we cannot see. Just keep trusting Him and He will bring you through all this. Much love to you and your family!! Thanks your comment is much appreciated and deeply absorbed. It gets kind of crazy when life doesn’t go how thought it would or should. Times like that we learn just how much we need the Lord and that he can be trusted. Now to get on to the business of allowing him to have His way in His church. Joie: I agree with your vision. We are full of it for sure and we need to flush, cleanse and flush again. 🙂 One of the things that I am hearing about this time and season revolves around what happened on May 20, 2012. I believe that this Annular Lunar Eclipse was a very significant prophetic event for several reasons. 1). When the eclispe was almost full it looked like a newmoon. (New Beginnings) 2). When the eclipse is full it looked like a ring of fire. (The ring of fire represents the eternal fire of connection and the unbroken circle of love that we have with fellowship of the brotherhood. The end of an era has come…An epoch event is HERE! A great awakening is happening, and the sons of Yahweh are coming into a better understanding concerning who they are in Him, and nothing is prevent them from seeing and entering the Kingdom of Yahweh at a very different level. The reason that so many are frustrated and irratated at the present, is because Yahweh has driven them into the wilderness and is forcing them to turn in their hearts to Him, apart from creature comfort and the crowd. My name is Joie Pirkey and I am married to Douglas Pirkey. I am a christian. I am seeking to please Christ. Since I was a small child I have been gifted with the ability to see and hear into the spiritual sphere. This ability has caused me many, many problems. I would never opt out, however, because through it I am getting to know my God. Remove the stones~Appleton Abortion Mill being closed? Speak to the Citadel to be Removed. Methodist Trial of Pastor Amy DeLong next door. Todd Bentley Coming to the Valley. Dirty Kitchen, whose watchin’ the Kids?